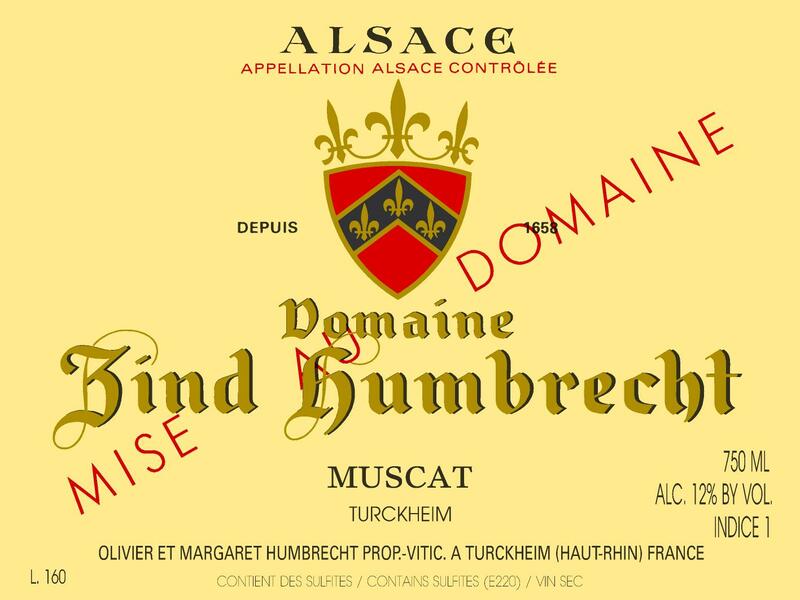 Both vineyards used to produce this village wine are located on the edge of the Herrenweg area in Turckheim, on slightly richer silt/loam soils that enjoy a very warm microclimate. The proportion of Muscat Petits Grains (red and white colour grapes) is high as it is a more drought and heat resistant grape variety. It also takes a little longer to ripen but achieves better balance. Muscat doesn’t need a high ripeness potential to express all its qualities, but needs perfect skin ripeness to avoid unnecessary bitterness and an overly perfumed profile. In 2016, most grapes took a long time to increase their sugar concentration, so it was possible to harvest perfectly ripe grapes with lower alcohol potential, which suits this grape variety so well. The fermentation was quick and the wine finished its fermentation achieving a bone dry style. 9/2017: the colour is pale yellow/green, quite luminous. The nose brings the taster in the vineyard during flowering. It expresses such delicate, yet intense, flowers aromas, never overpowering, just like a very delicate perfume. The palate follows perfectly: the texture is delicate, almost aerial and lingers on for a long time. Being very dry, the tannic structure is more palatable and reinforces the finish. The mouth feels like soft velvet and is already so easy to enjoy. This wine will go with seafood, salads, crab, fish dishes. Uncomplicated but not simple!